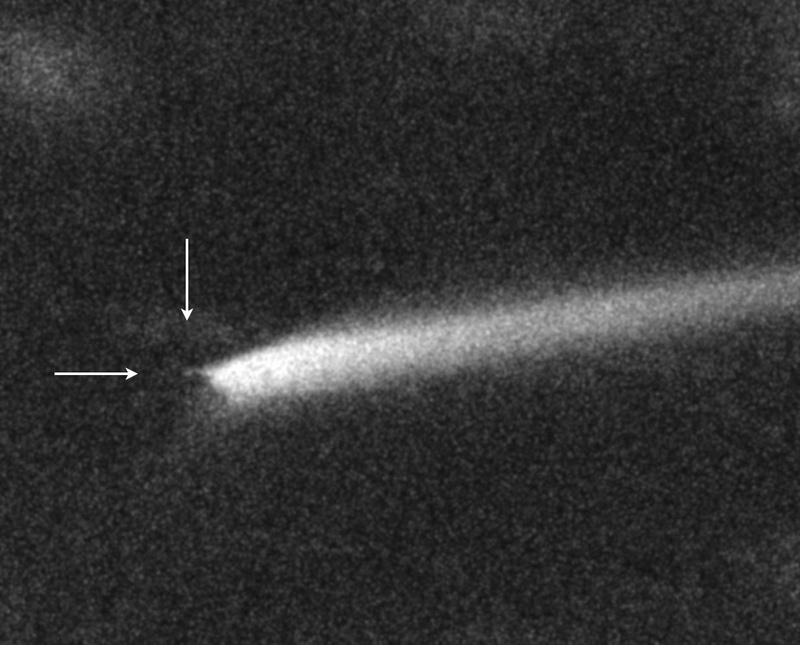 P/2010 A2 is the 5th recognized Main Belt Comet (MBC), but it differs from the others in having an orbit within the hot, inner regions of the asteroid belt. Unlike prototype MBC 133P/Elst-Pizarro, this object is very unlikely to be driven by the sublimation of water ice. Instead, the morphology suggests (but does not prove) a recent collisional origin. We cannot rule out other possibilities, for example that P/2010 A2 has been spun-up by radiation forces to the rotational bursting limit. Either way, A2 is an asteroid losing mass. Caption: Main-belt comet P/2010 A2 imaged at the WIYN 3.5-m telescope on UT 2010 Jan 11 by James Annis (Fermilab), Marcelle Soares-Santos (FermiLab and University of Sao Paulo) and David Jewitt (UCLA). This is the picture we used to identify P/2010 A2 as an object of special interest, and the one we used to secure observing time on Hubble Space Telescope. The portion of the image shown is about 3 arcmin in length (140,000 km at the comet). 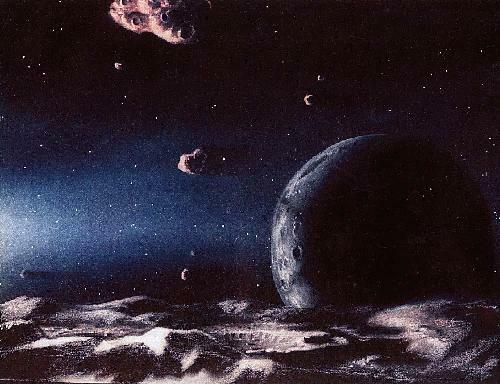 The broad band of light is sunlight scattered from dust apparently emitted from the tiny, point-like object at the head of the comet (indicated by arrows in the right-hand panel). In this image, numerous background stars and galaxies have been largely removed by image processing (a straight median stack, if you want to know).